This gluten-free fudge had its 15 minutes of fame. You know when Oprah requests something it must be divine! 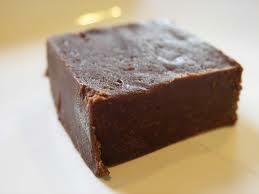 Gluten Free Garage guest speaker Kathy Smart‘s vegan gluten-free fudge was recently summoned to Oprah’s green room. Well, if it’s good enough for O, it’s good enough for us! But we don’t need Oprah’s seal of approval to know that Kathy’s got the GF goods! Kathy was kind enough to share her famous fudge recipe with us here! Put all the ingredients in a food processor and pulse a couple of times just until blended. Do not over-pulse or it will become runny. Line a muffin tin with liners and add 1 tbsp of mixture. Put in the freezer for 10 minutes and…voila! Click here to watch Kathy make her fudge! Chef, nutritionist and leading gluten-free expert Kathy Smart kicks off the Gluten Free Garage speaker series at 10:30 am with HOW TO FEEL LIKE A GLUTEN-FREE ROCK STAR: The Top 5 Foods that will give you energy all day long! We hope her fudge is one of them! The Gluten Free Garage opens at 10 am. For the Guest Speaker Series (starting at 10:30 am), once you pay your admission and get a hand stamp, head over to the Community Gallery and form a line outside the doors. The doors will open 15 minutes prior to each presentation. Seating is limited and people will gain entry on a first-come, first-served basis. If you miss Kathy’s guest speaker session, you can find her from noon on at the Gluten-Free Find table! Posted in GFG speaker!, Recipes we ❤, Tummy love.